Why an MBA, and why now? 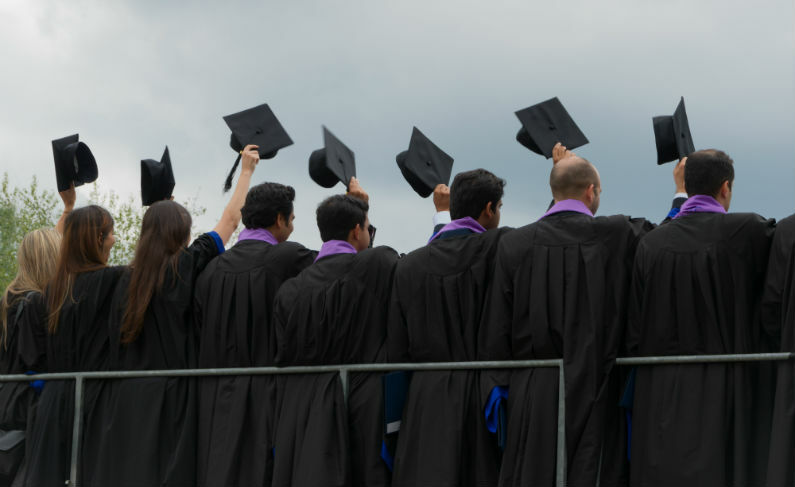 If you’re considering a master’s degree in business, you likely are in one of two groups of people: Those who will graduate soon with a bachelor’s degree and want to pursue a master’s right away, or those who already have some experience in the business world and have seen the benefits that an MBA would provide. In either case, this guide will show you the value of an MBA, both upon graduation and long-term. It will discuss the importance of earning a graduate degree from a quality school like Manhattan College in New York. And it will introduce you to successful people in many fields who have MBAs and have risen to top positions in their companies. How much is an MBA degree worth? Pursuing an MBA is a significant investment, in both time and money. How does that investment pay off? What are the benefits of the degree? In earnings alone, the payoff can be significant. Each year, the Bureau of Labor Statistics calculates the increases in salary that accompany a master’s degree. In the 2015 report, the bureau noted that a worker with a high school diploma earns an average of $678 per week; one with some college earns $738; with an associate’s degree, $978, and with a bachelor’s degree, $1,137. However, with a master’s degree, that worker’s pay rate rises to an average of $1,341 a week, almost 20 percent higher than that of the worker with a bachelor’s degree. Perhaps in a reflection of this, the MBA became the most popular advanced degree in 2010-2011 in the United States, according to Department of Education statistics. MBAs accounted for more than 25 percent of all master’s degrees in that year, which was higher than the number awarded to education majors for the first time. [ii] The next year, MBAs moved even further ahead. What will my earnings be with an MBA? What is the demand for MBAs like? “Employer demand for recent MBA and non-MBA business master’s graduates is high, according to more than 800 corporate recruiters who participated in the 2016 Corporate Recruiters Survey,” says the GMAC report. [xiv] “Nine out of 10 U.S. employers (91 percent) report plans to hire recent MBA graduates this year, compared with 84 percent who hired these candidates last year,” the report said. In addition, 88 percent of those companies say they plan to recruit MBA graduates on campus, which is five percent higher than in 2015. The MBA Career Services & Employer Alliance, a trade group, confirms that on-campus recruitment of MBA graduates is increasing. It surveyed 104 business schools and found that 51% have seen an increase, especially technology (startups in particular), consulting and health care. [xv] The Bureau of Labor Statistics expects a 6 percent increase in the number of economists,[xvi] a 14 percent increase in the number of management analysts (consultants)[xvii] and a 17 percent increase in the number of medical and health services managers[xviii] from 2014-2024, all jobs in which MBAs are common. The Bureau expects those rates to be as fast as or faster than average in growth. That growth holds true in all four major regions of the United States. In 2015, 88 percent of companies in the Northeast hired MBA grads; in 2016, that number is expected to grow to 95 percent. In the Midwest, the numbers are 89 percent in 2015, 94 percent projected in 2016. In the South, it was 84 percent in 2015 and 89 percent projected in 2016. And in the West, actual hiring in 2015 was 75 percent; it is projected to be 88 percent in 2016. Is an MBA my path to a corner office? What the job is: The CEO is the top executive in a company, and is responsible for its success. The rest of the top managers report to him or her. CEOs set the vision, build a team of executive leaders and have final oversight of the budget. What the salaries can be: Virtually unlimited, up to tens of millions of dollars – it depends on the company. In addition to salary, bonuses, perks, and stock in the company typically are part of the package. What the job is: CIOs oversee a company’s technology structure, security and growth. Areas of expertise include hardware/software, cloud-sharing, management of data breaches and the process of how the business interacts with customers. What the salaries can be: Base salaries start at about $150,000 and go up to about $250,000, according to a Network World analysis of Fortune 500 CIOs. [xxxiv] These executives also receive bonus packages that increase their salaries exponentially. What the job is: CFOs oversee the company’s financial picture, past, present and future. They are responsible for financial reports, day-to-day operations, investments and capital spending, and forecasting future success. What the job is: CMOs are responsible for creating and operating a company’s marketing strategy, enhancing its image and increasing (if appropriate to the company) sales or fundraising efforts. What the job is: CSOs act as implementers, carrying out a CEO’s strategies for his or her company. They define, decide and follow through on management decisions and planning processes in order to achieve the company’s goals. Denisha Tate, CSO Boys & Girls Clubs of Greater Milwaukee – Tate has been CSO in Milwaukee since 2015; she served previously as Chief Operations Officer and Vice President of Programs and Operations. She was named a Woman of Influence by the Milwaukee Business Journal in 2013. What the job is: CPIOs are charged with the responsibility of looking at a company’s products and processes and figuring out innovative ways to do them better, including scouting new ideas, building teams and implementing training. The positions profiled above are those of top executives, people who run entire divisions or companies. But there are plenty of other individual careers in which an MBA enhances your skills and effectiveness while increasing your pay scale. What they do: Management consultants work with businesses in strategy, management and operations. Their mission is to help a company accomplish its goals, whether those be in marketing, revenue, management or innovation. How an MBA prepares you for this career: You’ll learn leadership skills, organizational behavior, entrepreneurial management, critical thinking and change management. What they do: They are responsible for general business operations inside a company, including personnel, technology, budget matters and customer experience. This job, more than many, changes depending on the size of the company. How an MBA prepares you for this career: You’ll study technology and operations management, leadership and organizational behavior, strategy and management. What they do: They look toward the future, seeking opportunities to enhance a company’s growth, grow its customer base and develop new markets. How an MBA prepares you for this career: With courses on strategy, management, designing creative organizations, business marketing, entrepreneurial sales and sales force management. What they do: They usually work in financial institutions, making investments for clients – both individuals and businesses – to accomplish those clients’ goals. This includes buying and selling stocks and securities day-to-day. How an MBA prepares you for this career: You’ll learn about corporate financial operations, entrepreneurial finance, private equity, emerging markets, financial management and real estate. What they do: Manage teams of financial analysts who evaluate accounting data, financial and economic risks and make recommendations based on a company’s goals; present this information to upper management. How an MBA prepares you for this career: With study in financial report and control, big data and critical thinking, business analysis and valuation, international economy and corporate accountability. First, find the right school. If you’ve decided that you’re interested in pursuing an MBA, the first thing to do is to find the program that’s right for you. Some students choose to go full-time, but many others pursue an online MBA while they continue to work in their careers; if this is the case, you’ll want to investigate the accreditation and quality rankings of the schools that interest you, the flexibility of their programs, and the return on investment (ROI) you’ll get with your degree. Find an executive mentor: As you pursue your degree, seek a mentoring relationship with someone who can advise you as you grow. “Finding a mentor is one of the best investments you can make in yourself and your career,” says the World Economic Forum. “Whether you are an entrepreneur or a goal-oriented professional, you need advice from someone who has already been where you are headed.”[lx] A mentor teaches you, looks out for you, inspires you and helps you over the rough spots – and can be a reference and a guide after you earn that MBA. Learn to network with both peers and executives: Networking can seem intimidating, especially with people who have more education or experience than you. But it’s a learned skill, just like other skills you value in your career. Don’t limit yourself to those in your business. Smart, experienced, interesting and powerful people transcend their industries. Do your homework. Once you’ve met someone, take the time to learn about him or her. Don’t network for specific outcomes. Networking is not about asking for favors. Rather, the point of it is to create a circle of people around business relationships. Be innovative at work: You have the best lab right in your own workplace; use it as a learning experience, not just a job. The Innovation Management website says that innovation “is a word that’s been heard on the lips of more CEOs, read in more broadsheet papers, and detailed in more business magazines” than ever before. [lxii] So take advantage of that momentum. As you work on your MBA, put the leadership, vision and innovation skills you learn into practice whenever you can. When those efforts pay off, the results will enhance your resume down the road. In the last few years, the MBA degree has become the most popular in the United States, for a variety of reasons. Workers with master’s degrees in business are seen as trained leaders that enhance a company’s performance. And earning an MBA has been shown to increase a worker’s value, with higher salaries and greater benefits beginning with graduation and increasing over the lifetime of a career. To receive more information on Manhattan College’s online MBA program, you can explore its website, fill out an information request or download a brochure. [ii] National Center for Education Statistics, Digest of Education Statistics, Bachelor’s, Master’s and Doctor’s Degrees Conferred by Post-Secondary institutions, by Field of Study, 1970-71 through 2011-12. [lvii] Robert Walters, So You Want to Be a Business-Development Manager?